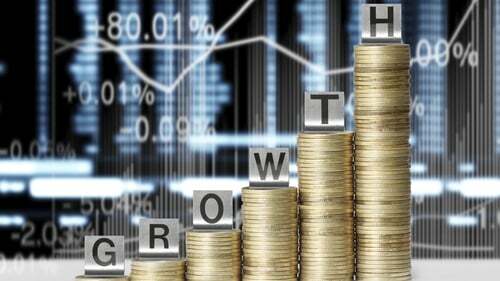 The economy grew by an enormous 26% last year, according to the latest figures from the Central Statistics Office. The figures are the strongest performance by Ireland in recent decades and compare to an estimate of GDP growth of 7.8% for 2015. However, much of the rise is as a result of aircraft purchases, corporate restructuring and companies re-locating assets to Ireland. These changes have not resulted in a significant increase in employment. The country's Gross Domestic Product expanded by 26.3% in 2015 compared to 2014, while Gross National Product was up 18.7%. The CSO described the revisions for last year as "dramatic". "The very dramatic increase has increased the capacity for production in the economy and impacts the accounts for 2015 in the increase of exports and imports. Employment has not changed greatly as a result," commented Michael Connolly, a senior CSO statistician. Today's figures show that all the main sectors of the economy grew last year with industry, including building, up by 87%. They also reveal that exports increased by 34.4% between 2014 and 2015, while imports rose by 21.7%. Personal consumption expenditure increased by 4.5%, while Government net current expenditure rose by 1.1%. The CSO said the country's debt-to-GDP ratio will fall to less than 80% as a result of the new figures. But despite the strong results for 2015, figures for the first quarter of 2016 show a 2.1% drop in GDP while GNP grew by 1.3%. Meanwhile, new CSO data also shows the Irish balance of payments current account - a measure of the financial flows with the rest of the world - had a surplus in the first quarter of 2016 of €8.96 billion. The revised current account surplus for 2015 was €26.16 billion, an increase of €22.96 billion on the previous year. 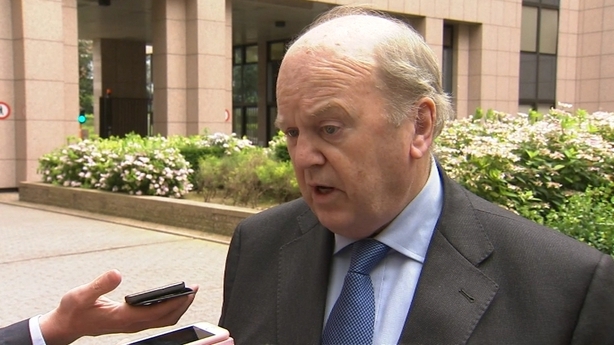 Commenting on the figures, Finance Minister Michael Noonan said that they and other indicators, including tax revenue published last week, consumer spending and labour market data are all consistent with an economy where recovery is firmly established. Speaking from Brussels where he is attending a monthly meeting of EU finance ministers, Mr Noonan said the CSO figures show that peoples' lives are improving with more at work than at any time since the onset of the downturn. "Ireland is now in a position where we borrow relatively small amounts at very low rates which ensure that investment is made in delivering more than the bare minimum of services to our citizens. These are all evidence of a country growing in real terms," the minister added. Commenting on the figures, the Chief Executive of the Irish Small and Medium Enterprises Association described them as "meaningless". Speaking on RTÉ’s Drivetime, Mark Fielding said that in the first three months of this year, the official GDP figures have dropped by over 2%. "The fear is here, that these figures will be grasped by unions and the left wing, looking for increase in wages, as an excuse to increase our cost base," added Mr Fielding. "That's something that we really have to watch after the Brexit and the economic uncertainty that's there at the moment." Elsewhere, Investec economist Philip O'Sullivan said that "even the most seasoned observer of CSO releases will have been taken aback by the latest releases". Referring to growth in areas such as employment and retail sales, Mr O'Sullivan said "the new headline growth figures for Ireland bear scant relationship to developments on the ground here". "So, while we believe that the Irish economy has been turning in strong growth, the latest CSO estimates overstate the underlying performance here," he stated. He added that the reduction in the country's debt-to-GDP ratio as a result of the new figures will "thanks to the statisticians' pens" likely reverse "any diminution of the fiscal space available to the Irish Minister for Finance post-Brexit". Ulster Bank chief economist Simon Barry said the strongest consumer spending figures in many years gave a more accurate picture of Ireland's economic performance than the GDP revision. Consumer spending, which was unaffected by today's reclassifications, grew by 4.5% last year and was up 2.1% quarter-on-quarter from January to March, the fastest quarterly growth since the 2008 financial crisis. "But the GDP numbers are just not meaningful if the aim of the game is to truly understand what is happening in the economy," he said. Similarly, not too much should be read into a quarter-on-quarter fall of 2.1% in GDP in the first three months of 2016, which Mr Barry said resulted from an unwinding of some of last year's increase.